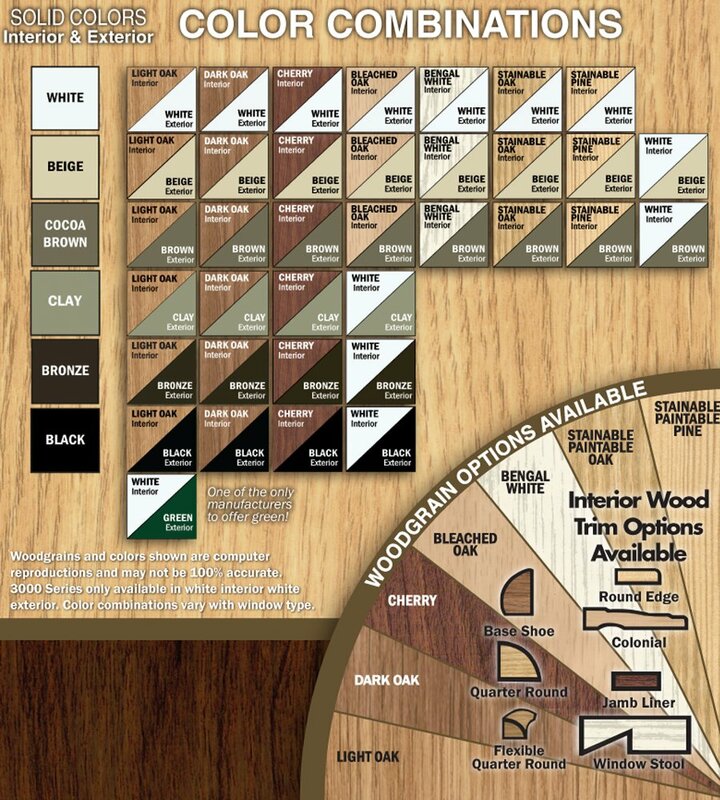 *Woodgrains and colors shown are computer reproductions and may not be 100% accurate. Platinum 2400 Series not available with all color combinations above. Rezilience 3000 Series available in white only. Ultra Tuff 5300 Aluminum Series available in bronze only.